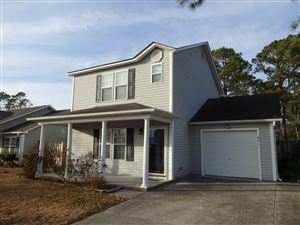 Brewster Place is an affordable residential neighborhood located off Carolina Beach Road in Wilmington. It's a short drive from shopping and dining at Monkey Junction, and about 15 minutes from the Carolina Beach Boardwalk. Homes in the community have traditional and open floor plans, many with cathedral or vaulted ceilings. One and two-story styles exist, but one-story is most common. There are no neighborhood amenities, but horse lovers will be happy to know that there's an equestrian center within walking distance. Click on the listings below to see pictures, features, amenities, school information, and more. Please don't hesitate to contact us if you're interested in viewing a home or have questions. We can help you with this community or any other in the Greater Wilmington real estate market.